The Office of Mission invites faculty, staff and students into a deeper understanding and commitment to the liberal arts, Catholic and Lasallian traditions of the College. 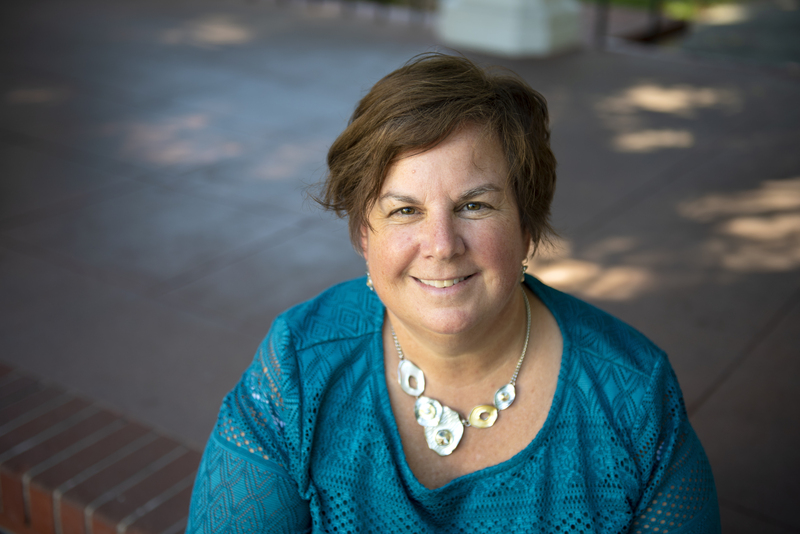 Professor Frances M. Sweeney was named Saint Mary's Vice President for Mission by President James Donahue on April 5, 2018. Her appointment began on July 1. With more than twenty years of academic experience, Sweeney brings a wealth of academic, residential, and student life service to the Office of Mission. A valued professor and faculty leader, she has served as an academic dean and then vice provost for the College. In his appointment announcement President Donahue said Sweeney has been instrumental in advancing the College's institutional effectiveness and undergraduate core programs, "Always with an aim to integrate institutional values and Lasallian charism in the work on behalf of all staff, faculty, and especially students." An alumna of both the undergraduate college and a graduate program at Saint Mary's, she has long been a passionate advocate for the College's liberal arts, Lasallian and Catholic traditions. "The magical part about Saint Mary's is that you have three traditions—we are Catholic, and Catholic has to do with social justice, dignity and education for the common good," Sweeney says. "We are also liberal arts, which has to do with well-rounded students and a concept of lifelong learning. And we have the Lasallian tradition founded on establishing authentic relationships with students and meeting them where they are for their own transformation." Sweeney earned her doctorate in Hispanic Linguistics from the University of Texas at Austin, a master of arts degree in Spanish from Middlebury College and a master of arts degree in Graduate Liberal Studies, and a bachelor of arts degree in Spanish and Diversified Liberal Arts from Saint Mary's College of California.